Boston, MA - (February 26, 2019) - Major League Lacrosse (MLL) takes a look into draft prospect and Sacred Heart midfielder, Max Tuttle. The 2019 Collegiate Draft presented by Cascade will be held on Saturday, March 9 at the NASCAR Hall of Fame in Charlotte, N.C. The Draft will be free of charge to attend and will feature representatives from every MLL team. Lax Sports Network will stream the 2019 Collegiate Draft presented by Cascade starting at 7pm E.T. Tuttle may be one of 63 players selected in the draft. "Max Tuttle is a great leader. He is a tireless worker who holds himself to a very high standard," said his coach, Jon Basti. "He just wants to win. He wants to be the best. Probably the best thing I can say about Max is that he is a great teammate. We play such an up-tempo style of lacrosse that any of our guys would be adaptable to any style." Last season with the Sacred Heart Pioneers, Tuttle earned numerous accolades. He was named NEC Player of the Year, NEC Offensive Player of the Year, All-NEC First Team, USILA All-America, Inside Lacrosse All-America, USILA Player of the Year Candidate, Tewaaraton Award Candidate, became the first player in program history to earn an All-America nod, finished the season ranked third in the nation (first in the NEC and first among all midfielders) in goals per game and Tuttle set the SHU single-season record with 64 points in leading the Pioneers to its second straight NEC Tournament berth (first time in program history-making back-to-back conference postseason tournaments). Tuttle entered the 2019 season riding a 30-game streak with at least one point while also scoring at least one goal in 25 straight games. He was named an Inside Lacrosse Preseason All-American. While the Pioneers have had a tough start to their season, Tuttle has racked up 16 points, scored 10 goals, picked up 19 ground balls, had 3 caused turnovers and has even stepped in to take, and win, 4 faceoffs. He currently has a 75% shot-on-goal average. Tuttle is a product of Castle Rock, CO, where he was First Team All-Continental League in each of his four years at Castle View High School. Sacred Heart University is a private Roman Catholic university located in Fairfield, Connecticut. Preseason active rosters in Major League Lacrosse feature Pioneers such as Brian Masi (Atlanta Blaze) and Andrew Newbold (Ohio Machine). 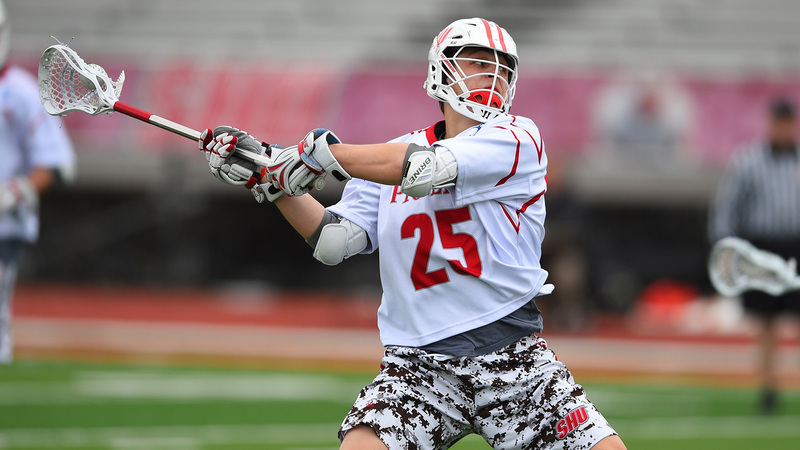 Will Max Tuttle follow these Pioneers into the ranks of Major League Lacrosse? Tune into Lax Sports Network on March 9 at 7pm to see if Max Tuttle will be one of the 63 players to be drafted in the 2019 MLL Draft presented by Cascade. Major League Lacrosse (MLL), the premier professional outdoor lacrosse league, is headquartered in Boston. MLL has led the sport of lacrosse into the mainstream of competitive team sports since 2001. In the spring of 2018, MLL entered into new leadership for the first time in 17 years when it selected Alexander Brown as the Commissioner. The league is made up of nine teams: The Atlanta Blaze, Boston Cannons, Charlotte Hounds, Chesapeake Bayhawks, Dallas Rattlers, Denver Outlaws, Florida Launch, New York Lizards, and Ohio Machine. What Impact Will Nick Mariano Have On The Bayhawks? What Impact Will Bryce Wasserman Have On The Rattlers? What Impact Will Kevin Crowley Have On The Lizards?